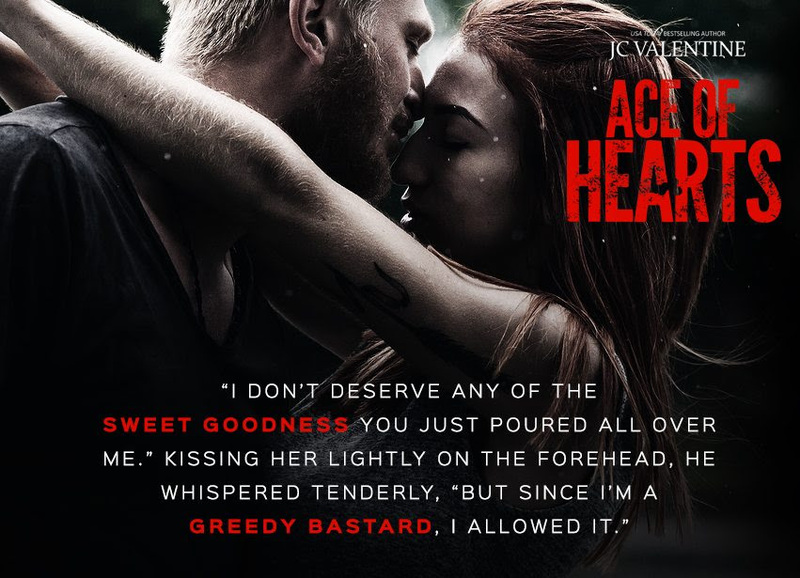 Welcome to the blog tour for ACE OF HEARTS, the third book in the adult romantic suspense series, Blind Jacks MC, by USA Today and international bestselling author, J.C. Valentine. See below for information on the book and series, buy links, an exclusive excerpt, and details on her giveaway. 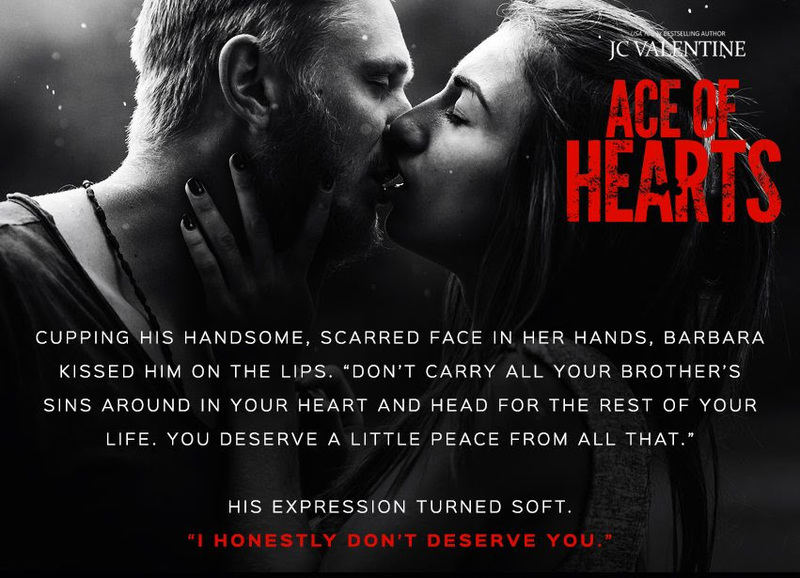 *NOTE* Although a part of the Blind Jacks MC series, ACE OF HEARTS can be read as a STANDALONE and features a new couple!. Climbing into bed behind his lovely professor seemed different. At the clubhouse, neither of them felt particularly at home. It was clear that Barbara felt totally comfortable in her own home, though. The strange part was that Ace felt very much at home there, too. J.C. earned her own happily ever after when she married her high school sweetheart. 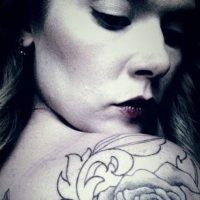 Living in the Northwest, they have three amazing children and far too many pets and spend much of their free time together enjoying movies or the outdoors. Among the many hats she wears, J.C. is an entrepreneur. Having graduated with honors, she holds a Bachelor’s in English and when she isn’t writing, you can find her editing for fellow authors..